Independent Scotch whisky producer, Isle of Arran Distillers, has teamed up with The University of the Highlands and Islands Orkney College to produce a 10 Year Old Cask Strength whisky made with barley introduced to Scotland by the Vikings. The Arran Malt Orkney Bere Barley has been matured in ex-Bourbon barrels for ten years and has been bottled at a cask strength of 56.2%. It is sweet, earthy and malty and conjures flavours of ripe honeydew melon and apples with a finish of vanilla and desiccated coconut, which work together to showcase the character of Bere Barley. 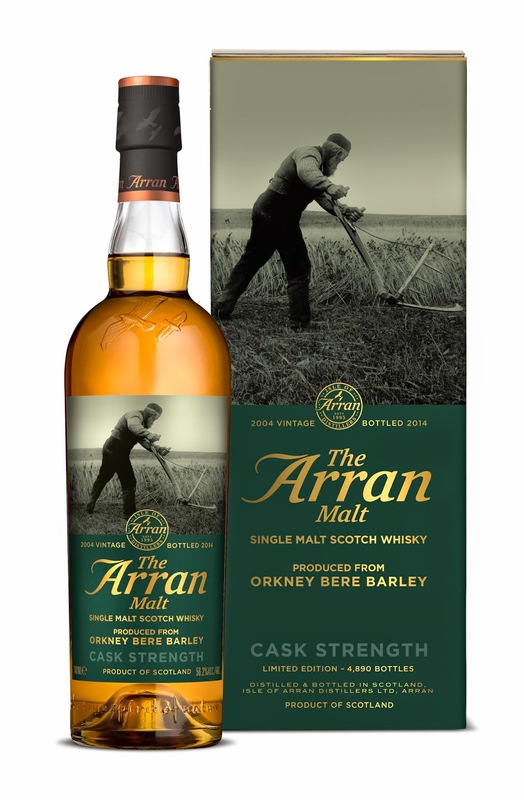 The Arran Malt Orkney Bere Barley is non-chill filtered and will be available later this month from specialist retailers for a RRP of £59.99.